According to Amus it is day over for RedBull, and Mercedes might not go out again today. Massa sets a 1m36.618s. Toro Rosso also posts their fastest time to date, 1m39.3s. 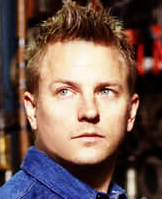 Crapy, crapy, crapy day for Kimi. Nice to see Kimi and Pat Fry chating up. Hope tomorrow will be better day with lots of laps. I was surprised to see Gino, I thought he left Ferrari at some stage. 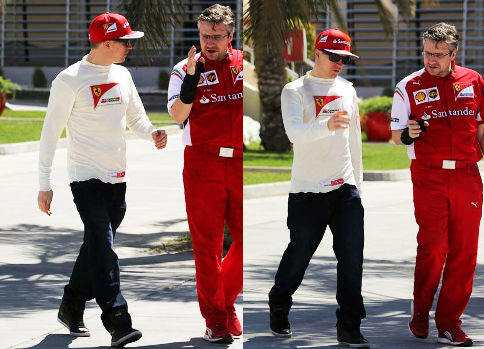 Third day of testing for Scuderia Ferrari and the first for Kimi Raikkonen, back at the wheel of F14 T number 7. The day began with further aerodynamic work, as well as some set-up evaluation and practice starts from the pit lane. After 12 laps, the team encountered a problem with the data connection to the telemetry, which involved recalibrating and reactivating the system. The programme then resumed and ran more effectively in the afternoon as the team continued to concentrate mainly on set-up work. I love to see Mark on his side. I think its their 12th year together. What is Seb doing with his physios?